Comfort Zones: Exactly 24 hours ago, I was sitting on my bedroom floor with my freshly packed bag beside me, Costa Rica guidebook in my lap… and then it dawned on me to ask: “Am I crazy?” Why am I traveling to a foreign country for just 4 days, with no real intent or purpose, a woman traveling by herself, when I could have done a number of other wonderfully fulfilling things… all of which would not include struggling through Wed thanksgiving traffic, stressfully racing through full LAX parking lots, and spending hundreds of dollars just to leave my beautiful life in San Diego… to be somewhere completely remote, so foreign in comparison to my daily life, with no cell service, and absolutely no local currency (yep. Smart.) I asked myself again: “Are you crazy? !” I sat for a moment, and slowly a grin grew across my face, and I said outloud, “Yes. Yes, you are crazy.” … And my next thought was, Yes. Yes I have to do this. And i have to keep doing it for the rest of my life. Why? Because I was somehow compelled to leave my comfort zone. The place where I have all the familiar situations that lend me a sense of security and control. And there is nothing more false and dubious than that zone… it is a transient and fabricated image of the mind… but boy does the comfort feel good to believe in. 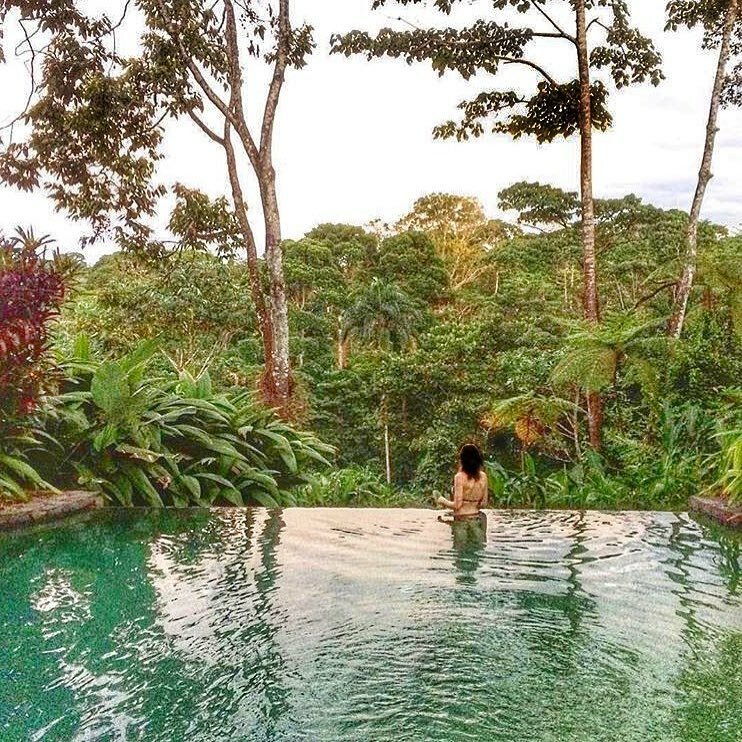 But now as I cool off in this beautiful pool overlooking the jungle that softens into sandy beaches caressing the ocean in gorgeous Santa Teresa, Costa Rica, I reflect upon my audacity in embarking upon this trip, and that feeling has transformed to a sense of purpose and peace. Who knows what this trip will bring… I have only just arrived. But I am here. I have arrived. I have shown up…. with all my fears of the unknown, vulnerabilities of being partnerless and branded as such, and excitement about the adventure to come. And I am promising myself I will stay open. Without a doubt, I will push my limits and discover new levels to my discomfort. And from that place, call in humility, gratitude, and hopefully, the preciousness of life and connection.